Earth’s greatest mass extinction, also known as the “Great Dying,” occurred about 252 million years ago. By some estimates, over 90% of sea creatures and most land-dwelling reptiles disappeared. Even usually resilient plants and insects suffered near annihilation. But how long did it take to wipe out the vast majority of life on Earth? What could have caused such a massive die-off? Scientists from China, the USA and Canada combined new high-resolution radiometric dating of seven closely spaced layers of volcanic material from South China’s Penglaitan section with detailed biostratigraphy and geochemical analyses. Results show the duration of the end-Permian mass extinction to be about 31 thousand years, essentially instantaneous by geological standards. “The mass extinction may have occurred in only thousands of years, but the analytical uncertainty of current CA-ID-TIMS dating technique prevents us from getting a more meaningful constraint for less than 30,000 years,” said Prof. SHEN Shuzhong from the Nanjing Institute of Geology and Palaeontology (NIGPAS) of the Chinese Academy of Sciences, the lead author of this paper. For decades, scientists have studied the Permian-Triassic boundary at Meishan in Zhejiang Province, South China, which serves as the international reference for the boundary. But this “condensed section” – a lot of time represented by a small thickness of sediments – makes it difficult to discern if the extinctions were abrupt or gradual. To deal with this problem, SHEN and colleagues from CAS, MIT, the National Museum of Natural History (Washington, D.C.) and the University of Calgary focused their attention on the Penglaitan section in South China’s Guangxi Autonomous Region. SHEN and his colleagues documented a rich Late Permian biota at Penglaitan, with at least 10 major marine fossil groups, including brachiopods, ammonoids, sponges, corals, conodonts, foraminifera, bryozoans, bivalves, and trilobites. Twenty-nine of the 66 Permian species identified in the section disappeared within or at the top of a single bed of volcanic ash-rich sandstone (Bed 141). Moreover, there is no “survival interval” of Permian taxa extending into the Early Triassic. This highly diverse marine ecosystem suddenly disappeared during the time of deposition of Bed 141. High-resolution paleotemperature measurements across the mass extinction interval suggest a substantial warming of up to 10 degrees Celsius immediately after the mass extinction event. 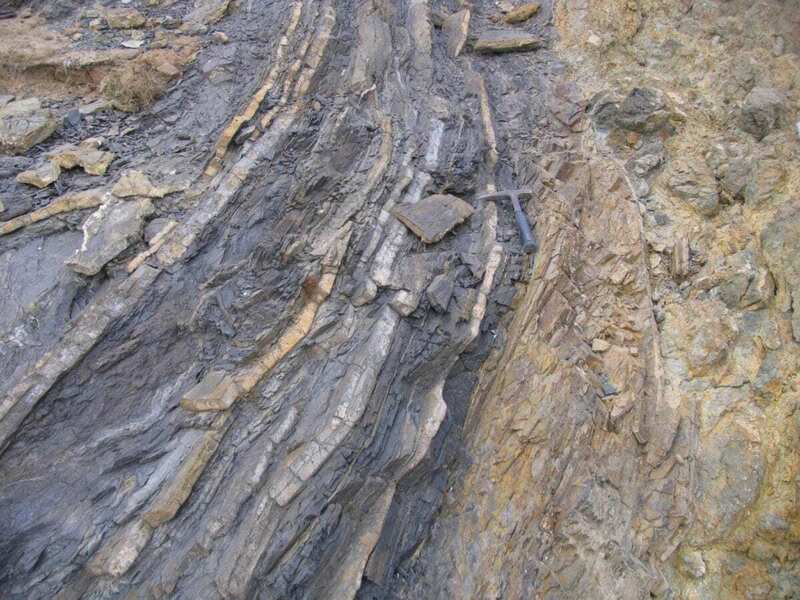 “This might explain the shift in sediment type from limestones in the Permian to early Triassic black shales, indicating ocean anoxia,” said SHEN.